Drawing salve contains 20% ichthammol and is made by Ideal Animal Health. This drawing salve is an ichthammol ointment that also contains ammonium bituminosulfonate, lanolin, and amber petrolatum. 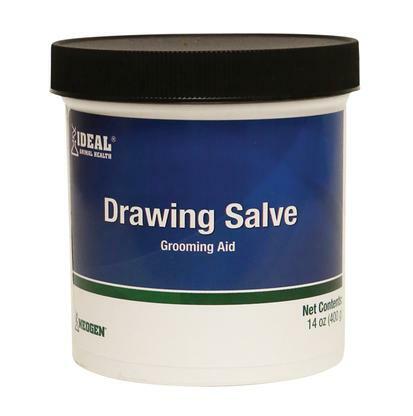 This is a drawing salve that can be used on any part of your horse, including the hooves. This is a topical ointment that contains 0.02% Nitrofurazone in a water soluble base of Polyethylene Glycols. This is an antibiotic ointment that is designed to address external wounds and surface bacteria. It is a water soluble product. 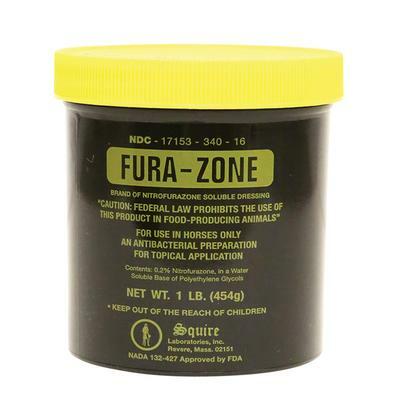 Fura-zone should be applied directly to the wound site and can be bandaged if desired. This antibiotic ointment can be used on burns, cutaneous ulcers and wounds. Use as directed.